Introduction Download the latest release of the ProFile, version 2018.4.3.
various bug fixes, including the known issue "NS428 incorrectly calculates spousal amount"
To update ProFile, select the “Check for Updates” option from the “Online” drop-down menu in the top toolbar. For a list of issues fixed in the current and recent releases, see “What was fixed in recent ProFile releases”. Introduction Download the latest release of the ProFile, version 2018.4.0. Starting with the 2018 taxation year, Revenu Québec allows preparers to transmit an amended TP1 return electronically. As previously, preparers can use the “Prepare an automatic TP-1.R form” functionality to create and print Form TP-1.R - Request for an Adjustment to an Income Tax Return. Form TPF-1.C is not required if using this functionality. Search for “adjustment” or “TPF1C” to find the TPF1C form. An amended return using TPF1C is different from using TP-1.R: when using TPF1C the changes are made directly on the return. An explanation of the changes must be entered on TPF1C and the entire return is sent to Revenu Québec. In comparison, only TP-1.R tells Revenu Québec the changes done on the return, without sending the entire return to the government. An amended return can undergo electronic or paper filing. In both cases, TPF1C is necessary. The new version of the form includes a new section in Part II to calculate the “Accelerated Investment Incentive” claimed on CDE and COGPE. 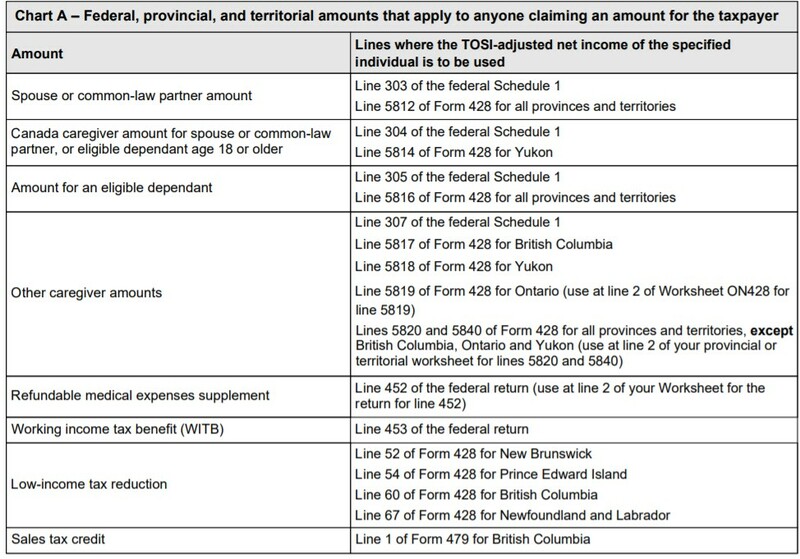 The column in Part B pertaining to HST eligible expenses at 12% is obsolete and has been removed. The rates applicable to the 2019 taxation year are those known as of March 1st, 2019. Any changes resulting from subsequent federal, provincial, and territorial announcements will be integrated into future updates. Introduction Download the latest release of the ProFile, version 2018.3.5. A QR code is added on the remittance voucher at the bottom of the form. It contains the information required to make a payment with cash or debit at a Canada Post retail outlet. 1. Select the “Import RQ data” option under the “File” drop-down menu in the top toolbar. 2. Select specific data or “All” from the import screen to import to ProFile. Review our full support article for RQ data import here. AgriStability forms for Harmonized provinces, as well as for Ontario, Saskatchewan, and Alberta are updated to the 2018 versions. AgriStability forms for Non-Harmonized provinces are updated to the 2018 versions for filing. All codes are updated to the 2018 lists including those for commodities and inventories. Introduction Download the latest release of the ProFile, version 2018.3.2. This is a new schedule for claiming a tax credit for training an employee employed by a small-to-medium-sized enterprise. Qualified corporations with eligible training expenditures for eligible employees that incurred after March 27, 2018 and before January 1, 2023 can claim a maximum tax credit rate of 30%. The tax credit rate is reduced when the total payroll expenses for the qualified corporation and the associated corporations are over $5 million. Tax credit is diminished when the total payroll expenses are over $7 million. This is a schedule for the Agreement Concerning Regional Ceilings Respecting the Additional Deduction for Transportation Costs of Small and Medium-Sized Manufacturing Businesses. This is a schedule for corporation that wishes to claim the additional deduction for transportation costs of small and medium-sized businesses in the calculation of its net income in a given taxation year. A new schedule addressing whether corporations receiving for services it rendered in Quebec or for disposition of taxable Quebec property which income tax was withheld is now included (Lines 28a and 28b). A new question whether the corporation is exempt from income tax under Section 984, 985, 991, 996, or 998 of the Taxation Act is now included (Line 31). Losses exceeding the income from activities of an IFC or a corporation established in the MITZM are now removed (Line 251) from the calculation of taxable income. QC Registration fee is updated for the year 2019. The tax credit for on-the-job training has expanded to include Aboriginal people. In addition, both the weekly qualified expenditure limit and the maximum hourly rate have been increased for all existing categories of eligible trainees for the purposes of this tax credit. Lastly, the rate of tax credit has been increased for qualified training periods in specific resource regions. Instructions and a new part are added for calendar year 2018. If the calendar year on line 07 is 2018, do not complete lines 21 and 22. In addition, a new Part 2.10 is added for "Employer contribution to the health services fund for the calendar year 2018". Corporations that hold a non-arm's length certificate issued by the Société de développement des entreprises culturelles (SODEC) in respect of a supplier of eligible online video services will be eligible for the tax credit, but only when it comes to eligible films they produce for corporations other than the supplier of online video services with which they are not dealing at arm's length. This change will apply to film or television productions for which an application for an advance ruling or an application for a qualification certificate if no application for an advance ruling was previously filed for the production is filed with the SODEC after March 27, 2018. This schedule was amended to remove Box 5a (wages incurred before June 5, 2014) and Box 5b (wages incurred after June 4, 2014). Annual limit and tax rates for periods before June 5, 2014 are not used in this amended schedule. There is a removal of the limit on the amount that can be claimed under the refundable tax credit for film dubbing which corresponds to 45% of the consideration paid to corporations for the performance of the dubbing contract. The change will apply to a qualified film dubbing expenditure of a corporation for a taxation year that begins after March 27, 2018. Calculations related to periods before March 27, 2015 are now removed. Various tax credit rates are updated for expenses incurred after August 15, 2018 and before January 1, 2023 in different regions and zones. Corporations or partnerships that incurred eligible expenses after August 15, 2018 and before January 1, 2020 in the metal processing sector is entitled to an additional increase in the basic rate when the proportion of its metal processing activities is greater than 50%. The schedule for calculating compensation tax for financial institutions is re-designed by Revenue Quebec to calculate the compensation taxes at various tax rates for different periods applicable to different types of corporations. The schedule is updated to fully incorporate the new SBD rates and the additional reduction for primary sector or manufacturing sector activities applicable to various periods after March 27, 2018. The schedule is updated to remove obsolete sections relating the periods before June 4, 2014. The schedule is updated to remove the obsolete tax credit rates in Part 7 (before June 4, 2014 and before December 3, 2014). The qualified expenditures are subject to the rate of 14%. The obsolete sections relating to taxation years beginning before December 3, 2014 are removed. Introduction Download the latest release of the ProFile, version 2018.3.0. This tax credit is for individuals who resided in Québec and were at least 70 years of age on December 31, 2018, or on the date of their death in 2018. The credit can be split between both spouses when the family situation on December 31 is “with spouse” and both spouses are eligible for the credit. Before 2018, the regulations relating to split income only applied to individuals under the age of 18. Commencing in 2018, these regulations extend to individuals aged 18 years or older and the income subject to the split is modified. In the 2018 Federal Fall Economic Statement, the federal Minister of Finance introduced the Accelerated Investment Incentive (AIIP). This measure allows Canadian businesses to write off a larger share of the cost of newly acquired depreciable assets (tangible and intangible) in the year the investment is made. Only assets acquired and available for use after November 20, 2018 may qualify as AIIP. A new question “Addition qualifies as an Accelerated Investment Incentive Property (AIIP)” was added to the business statement Assets and CCA form (for example, T2125Assets). Once a user answers “yes” or “no” to the question and inputs an acquisition date, ProFile calculates the CCA for AIIP, for acquisitions after November 20, 2018, and Non-AIIP, for acquisitions on or prior to November 20, 2018.
Review our full support article here for more information. T3MJ forms now use 2018 and effective tax rates in the calculation. Previously, customers could not activate two ProFile 20 licenses on the same computer. This release allows customers to have two ProFile 20 licenses of different years activated on the same computer. Previously, customers could not use any unused 2017 ProFile 20 credits after a license expired. This release allows customers to use the un-used credits of the previous and current years. Introduction Download the latest release of the ProFile, version 2018.2.5.
provide an environment better suited to the person’s personal needs and care. The maximum tax credit is $750 for a qualifying home. You can split the amount between everyone who is eligible to claim the credit for the same qualifying home. Following the March 27, 2018 Québec Budget, the tax credit rates for ordinary and eligible dividends have been modified. On January 1, 2018, the gross-up percentage for ordinary dividends went from 17% to 16%. See the instructions for line 128. 7.2848% for the period from March 28 to December 31, 2018. The rate of the tax credit applicable to the actual amount of eligible dividends went from 16.422% to 16.3668% for the period from March 28 to December 31, 2018. Boxes have been added to each of these slips to allow you to indicate the amounts of ordinary and eligible dividends received before March 28, 2018, to correctly calculate the amount of the dividend tax credit on line 415 of the Québec TP1 return. Box C and Box D are added for the capital stock of Capital régional et coopératif Desjardins exchange. This exchange will allow investors to benefit from a non-refundable tax credit corresponding to 10% of the value of the shares – up to a maximum of $15 000 – maximum non-refundable tax credit of $1 500 annually. On July 1, 2018, the contribution rates for the Québec prescription drug insurance plan were decreased. Consequently, the maximum premium has been reduced from $667 to $616. The maximum premium for 2018 is therefore $641.50. The tax credit for workers 63 or older has been renamed Tax credit for experienced workers. The age of eligibility to the credit decreased from 63 to 61. The maximum tax credit is calculated based on the age of the taxpayer. $1,650 if the taxpayer was 65 or older on December 31, 2018. The maximum eligible employment income is also determined based on the age of the taxpayer. $11,000 if the taxpayer was 65 or older on December 31, 2018. In addition, the tax credit is reduced by 5% from the eligible employment income that exceeds $34,030, where applicable. However, this reduction is not applicable if the taxpayer was born before January 1, 1951, and the tax credit does not exceed $600. The limits on certain expenses have been increased. The limit on childcare expenses for a child with a severe and prolonged impairment of mental or physical functions has been increased from $11,000 to $13,000, while the limit for a child born after December 31, 2011, has been increased from $9,000 to $9,500. The period of eligibility for the RénoVert tax credit has been extended to April 1, 2019. This applies to all recognized work, other than certain types of work related to water conservation and quality, which may entitle you to the new tax credit for the upgrading of residential wastewater treatment systems. you are claiming the tax credit for qualified expenditures paid in 2018. The tax credit can only be claimed for 2016 through 2019. It is equal to 20% of your qualified expenditures over $2,500. The maximum tax credit for 2016 through 2019 is $10,000 per eligible dwelling. Fields have been added in Part 4 of this form to indicate the amounts claimed in 2017 with respect to this credit. The post-disaster clean-up and preservation component has been removed from this form as it no longer applies. Only the repair component remains in effect and can be claimed in 2018. Fields were added in Part 6 of this form to indicate the amounts claimed in 2017 with respect to this credit. Child assistance payments will now be named Family allowance. The Gouvernement du Québec made the announcement on 3 December 2018 while presenting it’s Update on Québec's Economic and Financial Situation. As part of this update, the Québec Government announced an increase in the maximum amount of family benefits of $500 per year for the second and third children, with respect to the Child assistance payment component of the refundable tax credit for child assistance. Therefore, the maximum amount for purposes of calculating the child assistance payment will be increased from $1,235 to $1,735 for the second and third children of a family. This increase will be applicable starting in January 2019 and retroactive payments will be made to families starting in April 2019. The form is modified to reflect capital gain deduction limit change. For gains arising from the disposition of qualified property in 2018, the cumulative deduction is $424,126. Schedule 8 has been updated to include the Accelerated Investment Incentive presented during the 2018 Federal Fall Economic Statement. This incentive will provide deduction up to three times the amount of tax depreciation that would otherwise apply. On November 15, 2018, Ontario's Minister of Finance presented the 2018 Ontario Economic Outlook and Fiscal Review. Ontario will not parallel the 2018 Federal budget measure that phases out the $500,000 small business deduction limit for CCPCs that earn between $50,000 and $150,000 of passive investment income in a taxation year, for taxation years beginning after 2018. In Schedule 500, Ontario small business deduction calculation has been updated to reflect this change. This form has been updated to include the new Interactive Digital Media Tax Credit. To be eligible for new this credit, claimants are required to complete an application with Alberta Economic Development and Trade (EDT). ProFile will assess the electronic filing (EFILE) restriction of a trust return and display whether it is eligible for XML filing on the T3EFILE worksheet. To EFILE the trust return, select the “Transmit T3 return…” option under the “EFILE” drop-down menu in the top toolbar. T3RET and T3 slips XML filings require 2 separate transmission through ProFile. Internet file transfer is only available for 2018 and later years for forms T3 RET, T3 Trust Income Tax and Information Return, if a trust’s taxable income, total taxes payable, and refund or balance owing are 0.00. Lines for specifying eligible dividends before March 28 and after March 27th are added on Part 1 and Part 2. New code C11, C12, C21, and C22 are added. You need to specify the amount allocated for the boxes in the allocation form.